The ELD mandate will take effect on December 20th. Learn how this new regulation will affect shippers. While the freight industry is staring at wholesale change through technological innovations such as self-driving trucks, these changes are still fairly far off. On the other hand, changing laws affect companies more immediately. Regulations affect many aspects of the freight industry, so shippers and 3PLs need to be able to adapt to changes in those regulations quickly. The electronic logging device mandate, or ELD mandate for short, is a new law slated to take effect on December 20th of this year. This new regulation has the potential to disrupt the freight industry for a variety of reasons. By understanding this law, why it is being implemented, and how it will affect operations, you can begin to plan for the contingencies that may result. The ELD mandate requires all trucks to have electronic logging devices installed and for drivers to begin using them to track their work. This is an effort by the federal government to increase safety for drivers out on the road. Drivers, by law, are limited to 55 hours working every week, though this was rarely enforced. ELDs are an easy way to track hours worked and help the government enforce this law. A study by the Department of Transportation estimates that over time the ELDs will save $1.7 billion and reduce trucking accidents by over 1,800 a year. Large and medium-sized trucking companies have been using trucks equipped with ELDs for several years and have reported success in using them, saying they help the company track driving hours more closely and allowing them to make better strategic decisions for maximizing overall company productivity. When the ELD mandate comes into force, primarily it will be the responsibility of small-scale operations to comply with the law. But there has been some pushback. While the law is designed to keep drivers safe, it may have some unintended consequences. Small trucking companies have not outfitted their trucks with this equipment, at least up to this point, because of the cost associated with the devices. Installation costs run in the neighborhood of $600 per truck, and there’s the additional subscription cost for the service that runs about $20 per month. Many small companies may elect to leave the industry entirely, seeing ELDs as wholly unprofitable impositions by the DOT and the federal government. And many drivers may leave the industry as well if they cannot work more than 55 hours a week since they may rely on that additional income. Combined, these two factors may place a huge strain on capacity at a time when supply already cannot satisfy demand. The ELD mandate may not seem like much at first glance, but further analysis reveals how potentially disruptive this can end up being for the various players in the freight industry. Extensive preparations and partnering with an experience logistics company ensures your company will be ready for anything. 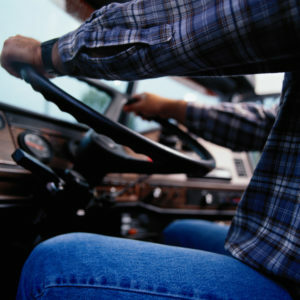 Here are a few tips we can give to shippers to help them prepare for the road ahead. Add Lead Time: It is known that short lead times can lead to higher rates of carrier rejection. Avoid this by giving your carrier plenty of lead time. With enough time, you’ll be able to secure the space you need and increase the level of commitment from your carrier. Be Proactive: AFP Global Logistics consistently monitors the latest trends in the freight industry in order to better prepare our clients for any challenges they may face. Be proactive in asking your 3PL whether they have plans in place and whether they know which of their carriers have the new ELDs installed in their fleets. If your current 3PL doesn’t know or can’t give concrete answers to these problems, it may be time to switch. Manage Transit Time Expectations: Transit times are expected to increase soon after implementation of the ELD mandate since hours of service regulations will be more successfully enforced. While this is certainly for the safety of all on the road, you may need to plan for slightly longer transit times to account for this. Shipping Rates Will Increase: There’s no getting around it – if carrier capacity shrinks, but demand for shipping space remains the same, shipping rates will go up. And since this new regulation is slated to take effect just before the Christmas holiday, shippers should expect demand for space to be at the highest level of the year, meaning shipping rate increases may be drastic. An experienced logistics provider can help you make sense of the new regulations and get your company ready for whatever lies ahead. Trust the professionals here at AFP Global Logistics for answers and solutions! This entry was posted on Friday, November 17th, 2017	at 10:47 am	and is filed under Domestic Shipping, News	. You can follow any responses to this entry through the RSS 2.0	feed. Both comments and pings are currently closed.